Some tooth fractures are superficial but all fractured teeth need an evaluation to prevent infections. Learn about fracture with pulp exposure. A fractured tooth without pulp will expose the dentin; the hard tooth substance beneath the enamel. Exposed dentin can serve as an indirect pathway for bacteria to enter the pulp causing infection. 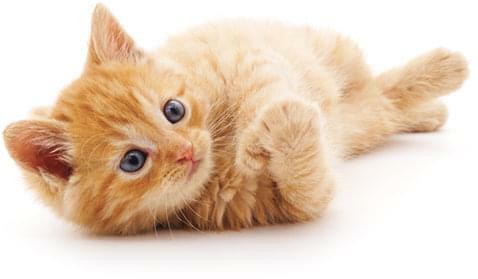 Schedule an appointment today to have your pet evaluated for any fracture teeth. 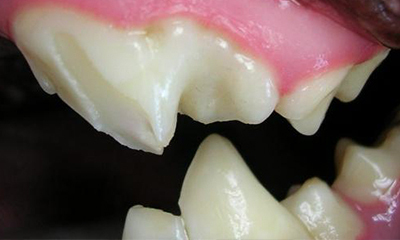 A fractured tooth without pulp exposure will expose dentin, as the enamel thickness in dogs and cats is less than 1mm. Dentin is a hard tooth substance that is comprised of tubules running from the pulp to the enamel. 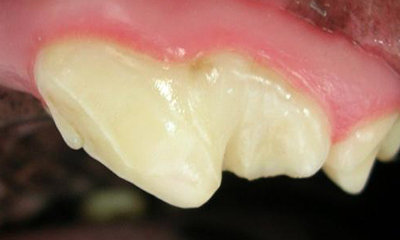 Exposed dentin is porous and can serve as an indirect pathway for bacteria to enter the pulp. The age of the tooth (young teeth have thin walls) and depth of the fracture affect whether the tooth becomes infected or “seals” itself. These teeth need an evaluation under anesthesia using a periodontal explorer and dental X-rays. Sharp margins can be smoothed to prevent tongue or lip injury. Sealants or composite restorations may be used to seal and protect these teeth. Follow-up dental X-rays should be performed in 12 months. Prevent tooth fractures by only providing chewing objects that “you can dent with your fingernail”. Avoid bones, nylon bones, antlers, and rocks.